Counting The Cost: Is Keeping Milk Goats Worth It? As I’ve said before, it’s extremely important when you are starting something new on your homestead to keep good records of expenses vs. benefits. If it’s costing you more than it’s worth, then you really need to consider either changing what you are doing to make it more cost effective, or discontinuing that particular venture. Remember the first year we got laying hens? At the end of the year I calculated that it had cost us $7.80 per dozen eggs. Yikes. We’ve made a lot of changes since then. We don’t feed them bagged corn anymore. We don’t feed them as much laying mash (only a pint jar a day for 7 hens). We give them lots of table and garden scraps, and are trying to grow more of their food. This year it’s milk goats. I’ve been keeping records of how much milk we are getting and how much we’ve spent on feed, hay, and meds. I don’t count fencing ’cause we’re using what we already had. Honestly, I was a little scared to know what a gallon of milk has been costing us. We haven’t been very diligent in our efforts, as I will explain further in a moment. After adding it all up, it looks like we have some changes we need to make if it’s gonna be worth keeping the goats. The feed we are buying is $12 for a 50 lb. bag. One bag lasts us about 9 days. So, it’s fair to say we use about 3 bags per month. That’s $36/mo. The bales of hay we are buying from a local farmer are $3/bale. One bale lasts us about a week (and that’s being stingy with it). So, in a month we go through about 4 bales. That’s about $16/mo. I decided to go with Molly’s Herbal De-Wormer; it’s a weekly treatment. The kit cost me $25.70 shipped, and should last our four goats about 6 months. This ends up costing us just a little over $4/mo. Added all up, it looks like we’re spending about $56/mo to keep these goats. Not even counting intangibles like water and electricity. Right now, we have the little buck separated from the three does. I’m milking Blondie, but the little doeling is still nursing her mama, Smiley. So, I’m only milking one of our goats. Bad. I know. It’s way past time to separate the doeling so I can milk both does. The problem is, we have nowhere to put the little doeling. We don’t have enough fencing to put her in her own pen until she’s weaned. And we can’t put her in with the little buck as I’ve mentioned before, ’cause he’s old enough to breed her and she’s way too young to safely have any babies yet. This is what has held us back. Milking only one of the goats has given us about a quart a day. Which reminds me, make sure that whenever you are looking to buy a milk goat, you insist on being present at one of the milkings before you make your purchase. This way you will know for sure how much milk you can expect to get from her. We were told that each of these does would give 3/4 of a gallon a day! Which has proven not to be the case. So, we’ve been averaging almost 2 gallons per week. Are you still with me? That means we’ve been paying about $7 per gallon for our goat’s milk. We could get a gallon of fresh milk from a local farmer for $3/gal! And not have to milk twice a day, or worry about taking care of any animals, or skipping summer vacations ’cause we don’t have anybody to milk for us while we’re gone. Obviously, we have some reevaluating to do. If we had more land we could grow more of our own animal feed… but we’ve quickly learned that one acre just isn’t enough to raise a sufficient amount of food for our family plus the animals. At least, we haven’t figured out how to do it yet. Fortunately, there are some things we can do to help cut costs. As I mentioned, separating the doeling is top priority. Hopefully milking both goats will at least double the amount of milk we are getting. We’ve decided to sell the little buckling instead of keeping him for breeding. From everything I’ve been reading, it just isn’t worth it to keep a buck unless you have a large herd of does to breed. We’ve been given the number to a local farmer who sells bags of goat feed for $8 instead of the $12 we are paying at the mill. Hopefully we’ll be able to hook up with him and start saving money there. And, if I can start making and selling goat’s milk soap, that may be a way to help cover our feed bill. So, that’s where we’re at, and that’s the plan. Do you see the importance of keeping track of your expenses? If you want to become more self-sufficient, you can’t let your homestead cost you more than it profits. I am selling goat milk kefir. The valve added for this product is substantial. I am charging $10 for a quart of favored kefir., This is mostly the cost of labor. My feed and housing and care cost only add up to $.89 daily. Which comes out to $ 1.78 per quart. I have Nigerians and only get 2-3 cups daily. Making cheese and kefir has to be the answer to profitiablty,cause it is all labor intensive. I milk by hand too. Lets face it, goats are the milkers of the now and future. They consume less feed, take up less space and have a rich incredible diet. There milk is higher in calcium and minerals. They are considered the poor mans cow because they can easily feed a family of 4. They are the most widely used domestic animal in the world. It takes 2 hours to digest cows milk and only 20 minutes for Goats Milk. There meat is delicious and those that eat fatty lamb are switching it up for lean lovely Goat Meat. If invasive plants are a problem they can control it. I have been milking goats for 23 years (Nubians) And we love the milk and it is so easy to make cheese. We will be selling goat shares so others can in on the Raw Goat Milk. May the Goats be with us all YUM! We currently have 4 milking does, 7 doelings, one buck and 1 buckling. This is our second year of keeping goats. We only get about 2 quarts per day from our 4 milkers. It’s great milk, and our goal is self-sufficiency, but we are starting to re-evaluate whether it is cost effective (both money and time) to keep doing what we are doing. We really do want to keep goats, but may have to change things a bit. Do you still keep goats? If so, I’d love to hear what you have learned along the way. If you have decided not to keep them, I’d also love to hear about your decision making process to get you to that point. Thanks for taking the time to share your journey with us. Currently, we do not have milk goats. We got to a point where my husband didn’t have much work, and the goats weren’t giving us any milk anymore, so we sold them to a friend with a lovely farm. We do want to have milk goats again eventually, but we’ll wait until we have a better area set up for them (stronger fencing, out of the woods, and hopefully enough pasture cleared to rotate them on) before we get them again. I’m paying $9 a bale for the square bales of alfalfa hay. A few years ago it was $3 or $4, but that was before the drought hit our area. It’s less if you buy a semi-truck load, $4 a bale now, but that’s a lot of hay! In VT goat milk is $12. per gallon. Cow’s milk is cheaper. So $7. per gallon doesn’t sound bad. Are you comparing goat to goat prices, or goat to cow prices? You could start growing your own feed, namely mangels and alfalfa. Getting rid of the billy is a good call. Getting better milkers and making and selling cheese would be good. Oh, and equal parts barley and oats will majorly increase milk production. That’s good to know, Heaven 🙂 Thank you!! Instead of separating the kids, we just taped the teats on momma. We used sports tape (in the medical section of most grocery stores), worked like a charm! Just put two pieces on each teat to make an X. Every once in a while an adamant kid would get the tape off, but by the age you want to separate them they’re usually not nursing much anyway. You can also do this to decrease your work load down to one milking a day. I milked in the morning, so I’d tape my doe in the late afternoon at feeding time, milk in the morning and remove the tape. The kids could nurse during the day, but I got more milk out of her this way than I did trying to share with kids full time. Think about this.. your costs will go up a bit to feed the doeling when she’s grown, but if you had all three does milking your cost per gallon (if they were producing a bit more than they are now) could go down to under $1 per gallon. I bought a little incubator this year and started hatching some eggs. I made enough at each monthly swap to cover our feed bill for the month and recovered the cost of the incubator! Hopefully we’ll do even better next year! If I were buy goats milk locally its over 10$ a gallon and that’s for pet consumption. Wow Cris, $10 a gallon for fresh milk! I hope you are able to work it out with your herd. It’s such a blessing when you are able to produce your own food as much as possible! I agree with Cathy! Here in the Amarillo, TX area, to get fresh goat’s milk “for animal consumption” (meaning it’s fine for human consumption, but the farmer isn’t licensed and registered to sell milk labeled for human consumption) the going rate is $7/gal. It’s $14/gal to buy from a registered/licensed milk farm. Raw cow’s milk through a cow share (required to buy raw milk in Texas) is $7/gal. I prefer cow’s milk because of the numerous products that can be made from it, which cuts down the purchase of those items at the grocery store. Goat’s milk is more limited to other products that can be made from it. We have been considering milk goats, but really want a cow. We, too, have limited space. Even though the price is high, we are looking into miniture Jersey heifers. Their size will work with the space we have. Our family consumes so many dairy products, that we feel that there is no way we won’t come out better with our own cow, or at least break even. We also have a couple of homeschool families that are interested in buying “for animal consumption” extra milk from us, so surely we wouldn’t come out spending any more than we currently spend for dairy products. Kendra, have you looked at miniture milk cows since your space is limited?? $7 a gallon is actually a great price for fresh goat’s milk around here, so I guess it depends on perspective. Of course you also have the work of caring for and milking them, so the savings may not be worth your time…one of those situations that depends on locale and personal preference. My goal is to have a few acres and enlarge our herd to dairy goats. Right now we are in “town” and have a few wethers for 4H. We can’t buy raw milk in our state (although ultimately that is what I want us to have) the closest we can buy is non-homogenized (organic). It is $4 for a half gallon. Looking forward to exploring and learning here! It sounds like this is not your goats first year of milking? If it is, and I am missing something, then usually a goat will not give a lot of milk their first year. Also, are you milking twice a day? You mentioned something about twice a day but I wasn’t sure of the context. Milking twice a day yields a lot more milk. You could even try to go to three times a day for a week or two to build up the supply. Molly’s Herbals has a Mo’ Milk formula, but it may be very close to what you can get in the store for nursing mothers (check first). Maybe give that a try? This is our second year of milking, and we are definitely getting more this year than last (last year was our goats first year milking). We are milking two goats, twice a day and we get a total of 1.5 gallons a day. Also last year each goat had a singleton birth, this year one had twins and the other had triplets. That may have helped in having a bigger milk supply. There is most certainly a huge learning curve in all of this (goats, chickens, gardening, etc. ), but I am hoping that at least for my children it will be second nature as they are growing up doing these things that are totally foreign to me! Thank you Kerri, for your advice. We were told that both of these does have been bred once or twice before, so I don’t know if they will get any better. I am milking twice a day. Wow, you get a TON of milk!! I’ll check into the Mo’ Milk formula and see what’s in it. Of my does, one gave birth to a single buckling, but he died; the other doe had twins, both of which I have here and are trying to wean. I’m sure next year will be better 🙂 It always seems to get better as we go. Thanks! I just bought a quart of raw goat’s milk for $6.98. If you lived close to me you’d almost be breaking even! Wow, CS!! That’s expensive! There a guy selling raw goat’s milk here locally for $2/quart. It’s crazy how prices vary so much depending on where you live. P.S. I should add that for my husband and I, the more we work toward self-sufficiency, the more we realize that the world’s economic model doesn’t work for us. We are learning to base the value of a thing on how well it meets our needs, not on how much money it’s worth. We still have to budget our meager income, but we’re trying to learn to not think of things in terms getting back our investment, but rather on how well they will help us reach self-sufficiency. I read analyses like these on occasion, and did one myself with our chickens. However, I include other “added value” things like the manure for compost for example. We are cranking out much needed compost so much faster with the goats and chickens. Then there’s the potential for meat (if eaten) and offspring to replace or sell. With our goats, we’ve discovered that by drinking milk from our poison ivy eating goats, neither of us gets poison ivy very badly anymore. Just mild cases since we’ve been ingesting goats milk! We don’t have many options for equal quality eggs and milk either. Raw pasture produced goats milk would cost at least $7 per half-gallon around here (equivalent cows milk is $6/gallon). Not to mention yogurt, whey, and cheeses. Nor the pleasure of having chickens and goats. They never fail to amuse, on top of the things they provide. Of course, we all have different needs, so comparing notes like this is always informative. I found little nose rings for my lambs. They are called easy wean. Perfect for keeping them together and weaning. Dog pen for the doeling? I found a cheap dog pen on Craigslist. I have used it for a ton of things. The better quality hay or grass my cow gets the more milk she produces. Sometimes its worth a little more money to buy a better quality hay. With round bales, sometimes they will rot before the animal eats it all and you might have to have someone deliver it for you. I always find that a project is more expensive the first year. I try to make it to the end of the second year before deciding to give up or not. My first year with a cow, I spent a lot more than I made but the second year I made my money back times 10. A few things: Do you think you could reduce the amount of grain you are giving? It takes us forever to go through a bag of goat grain with 2-3 milking does. I just give a cup or so everytime I milk. Their production hasn’t seemed to be effected. That would definitely help the final cost! Maybe you could switch to an alfalfa hay instead if you are feeding grass hay, for extra nutrition instead of the grain? I think you may find your results are a little better next year. I bet once you breed back your doe, her production will be higher next year since she will be fresh AND already used to you and your place. Plus, you’ll have babies to sell next year to help offset the cost. That helps us a lot! Plus, the fact that we can be self-sufficient in our dairy products in priceless to me. I think its a good idea to keep track of your costs. We do it here but its more for budgeting reasons. You really have to ask yourself “Why am I raising/growing ______”?. The answer to the question is a must on whether or not you are throwing hard earned money away. If you are doing it to be self sufficient well then you can’t really compare what you spend to what you could buy because the whole idea behind being self sufficient is to not have to buy. However we don’t live in a perfect world where we can all raise everything or even enough to feed ourselves and the animals we raise. If all you have is an acre you should read ‘The Complete Book of Self Sufficiency”. 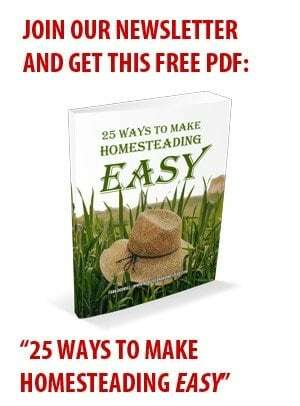 According to the author you can raise animals, their food and your food on an acre of land. But in the end none of it matters if you can’t afford, or it puts that much strain on you, to do it either. For us it is all of the above but we only do what we can afford and try and find the best sources available for everything else, if we can’t find a good source we do without. Goats milk costs $14/gal here and its not even good. We can get fresh grass fed cows milk for $4.50/gal . Our alfalfa bales weigh between 75-100 pounds and in a rectangular shape. I know it’s very expensive :(. Wow! That is really eye opening. Sometimes it’s worth it for someone else to do the dirty work and you pay for it. Sometimes you come out ahead that way. Good luck to you. Wow, $3/gal! We have to pay $12/gal. It pays for us to keep our Nubians. Not only is there milk, but there’s cheese and soap. Plus this year I bred them to a Boer so the kids are all meaty looking dairy/meat X. I have 4 bucks to sell and will hopefully get $150 each! That’s finally a little profit. Not much but it pays for me to keep my girls. I too keep mine for insurance purposes of uncertain times. And I know my food is as clean as it can get. No herbicides or pesticides. It’s nearly organic and that pretty much pays for itself. Maybe the investment of a meat goat would help justify your dairy goats that don’t produce much. Our area has a large ethnic population so goat meat is in great demand and the market is bringing in good prices! OR getting rid of the low producer and buying or keeping a kid for a good milker. I kept my first 2 doelings to see if they would be better producers than their mom. So far their mom this year being her second kidding has a much nicer bag. Her kids from last year are also doing nicely however since they are yearlings, they have room to improve. Plus Nubians aren’t large producers compared to Alpine or Saanens especially if they aren’t full size like mine. YES! The homemade tomato cage worked perfectly 🙂 Now go find some branches and make your own! Genius!! Thank you so much for this advice. Wow, what a perfect problem solver!! I’ve been well aware that we are spending more to raise our on food – for now. However, I believe most of this is due to the fact that few people have animal fencing, barns, etc. anymore. Not that this stuff lasts forever either, but it’s a huge expense. Another concern I have is availability. I feel like I’m purchasing food insurance by raising my own food. If it costs me more up front, so be it, because I’m totally convinced that at some point, we may not be able to obtain food or at least enough to make a balanced diet. If you can do one thing and do it well in order to be able to barter then do it. Or if you can do enough so that you have something for meat, something for vegetables, something for dairy, etc. you should be okay in the long run. Make connections, make friends, create a community where you can get the best price and know where to get what you need. Final thought, before the 60’s, food was a much larger portion of everyone’s household budget. We’ve come to expect cheap food. Those days may be over even if food IS available! Growing our own may soon be cheaper if certain commodities go up. My only concern is that higher powers will realize this and try and control the feed prices for animals to force small farmers to give up. Again, this is why it’s important to make connections with other farmers and ranchers. Yeah, you’re right about that. One day, and I too am totally convinced that eventually we’ll get there, what we grow at home will be much cheaper than what’s available at the store. I have to keep that in mind. Wow Kendra! $3 a bale! I wish it were so cheap here. We pay $17 a bale right now. Just came down from a record $20 a bale. I didn’t pay the $20, I ended up finding it cheaper elsewhere but I had to drive an hour to get it. The high prices are all due to a hay shortage but the lowest I think I have ever paid was $10. Anyway, count your blessings in the hay department. Raw milk is very expensive here. Cow’s milk is $14 a gallon and goat milk is around $12 a gallon. I have not run the numbers but I a pretty sure I am saving money. I also sell eggs and trade milk for feed. I think you also have to factor in that you know how your milk is handled. You don’t have wonder if the farmer is cleaning things properly. And don’t forget the experience for you kids. My daughter is learning so much about animal husbandry with all of the critters we have. In a few years she could probably take care of all the animals without my help (not my goal but she will have gained enough knowledge to take over). Milking is a skill, as I am sure you already figured out. You kids will be able to take that with them into adulthood. I am sure I just preaching to the choir but I thought you might figure that in to your calculations. It’s not something you can add in dollars and cents but it’s skills that could benefit the future. Are you talking about the big round bales of hay, or the much smaller square bales? What I’m getting for $3 is a square bale. I have considered buying one large round bale though, and just letting them munch on that free choice. Surely you’re saying $17 for a big round bale! I also forgot to mention adding DE to their food as a wormer and bulking agent. Don’t forget to add in the cost benefit of their manure. It’s great fertilizer for the garden after it’s composted. Also, you could look into mixing up your feed for them. It maybe cheaper. Good luck! I sell my extra eggs. This usually pays for the feed and I have a little bit leftover at the end of the month. Maybe you can look into alternatives to help the goats produce more milk? Make cheeses too. Yeah, whenever I get enough milk to have extra I’d love to do that.